My photo experience began underwater.I wanted to share pictures of the underwater world with friends, family, and for memories. I started with a simple point and shoot camera, but was frustrated with the results, so I invested in better equiptment. 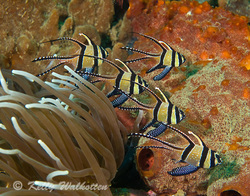 I then began working with my camera above the water, as a way to improve my shooting skills while scuba diving. I have had the opportunity to travel to some of the best dive destinations in the world. The creatures we meet are both beautiful and unique. The colors of soft coral, the textures of sponges, and the creatures that make them home, create beautiful images. The images include shots taken throughout the Caribbean, Fiji, Galapagos, Hawai'i, Papua New Guinea, Australia, and my favorite Indonesia where I have spent over 10 weeks. Please join me by browsing these pages, and getting a better appreciation of the wonders that live under 70% of the world covered by water. 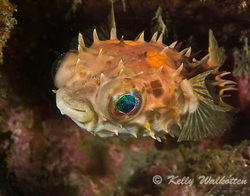 I am thrilled to show these images and want to make a point of encouraging fellow underwater photographers to not touch their subjects. 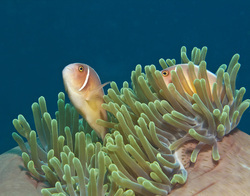 Unfortunately, many underwater photographers touch and move their subjects, hoping for a better shot. I believe that no shot is worth stressing the creature.